Jazz drummer extraordinaire, Eddie Marshall passed away on September 7. He was 73. In his career he played with such notables as Stan Getz, The Pointer Sisters and Dionne Warwick. He was also part of the fusion group The Fourth Way. 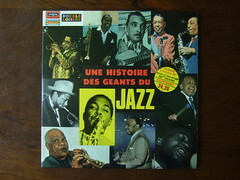 His other work included the project Bebop and Beyond, which compiled tributes to Dizzy Gillespie and Thelonius Monk. The video is a clip of the Eddy Marshall Quartet, live at the Piedmont Piano Company and features his composition “Too Much Romance”. This entry was posted in Jazz, Live Music, Remembering and tagged Eddie Marshall, Jazz, Music. Bookmark the permalink.